Q: I’m Having Trouble Accessing The Member’s Area, Help! A: Please check your email for login details (including your SPAM folder). You will find your username and password (or simply a link) to access your product. If you are still having trouble please [Contact Support]. Note: The email address you used for your purchase is your account username. Q: How Do I Activate My Forum Subscription? A: You’ll see your license key on the right side of this page. Copy it and go to the support forums (make sure you are registered on the support forums and that you’re logged in), and then go to [This Page] and add your license key. Your forum subscription will be activated. Q: Where to purchase Stealth Accounts? A: We recommend [These Guys] for HIGH Limit US and UK accounts. Q: Do you sell VCCs? A: No, but you can purchase VCCs and VBAs from approved sellers in the [Buy, Sell, Trade] area of the support forum. These cards work perfectly for verifying your account(s). Q: Where can I get answers to my stealth related questions? A: Please register @ [ASPKIN.COM/FORUMS] and post your questions. We do not answer stealth related questions outside of the forum. Q: How often do you update content? A: We update content as things change with eBay or PayPal or at a minimum monthly whether that’s adding new videos, resources or simply verify current stealth strategies are still valid. 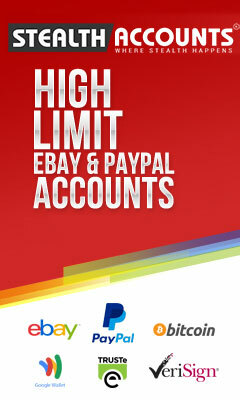 As things change with eBay and PayPal you’ll always be one step ahead with our guides. A: You can manage your membership from [this page]. Note: Updates are done on a Weekly/Monthly basis, whether that’s adding new resources or revising stealth tactics. For any other question please [Contact Support]. You Have A Live Account! Limited PayPal Account: Oh Noes!